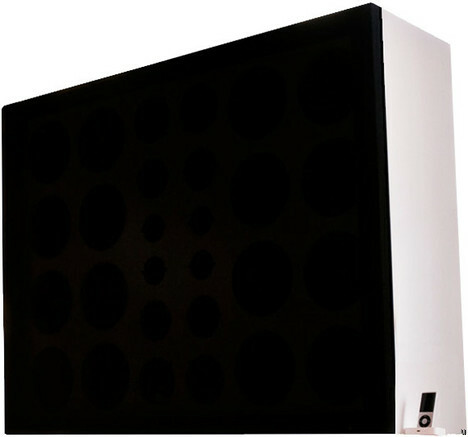 Please let me know if you seen anything else that can top this Ipod speaker..
Bass/Mid-range/Treble, this giant has it all.. Frequency response of 40Hz to 20,000kHz. Read more here at UberGizmo: Wall of Sound !